The staff at Voorhees Pediatric Facility understands the importance of caring for the medical, emotional, developmental, spiritual, educational, and social well-being of a child. Interwoven in the fabric of Voorhees Pediactric´s holistic philosophy is an interdisciplinary care team approach. Highly skilled professionals meet regularly with the children and their families to discuss the progress as well as the short and long term goal of each child. 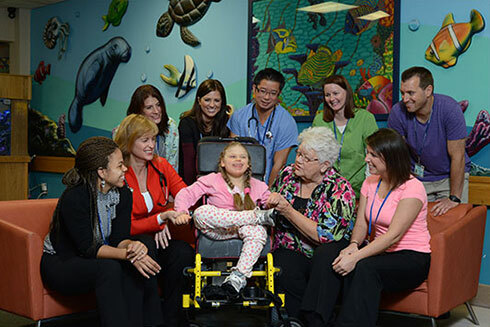 The level of training and range of services provided by Voorhees Pediatric Facility, usually associated with large hospital settings, is rarely found in the staffing of skilled nursing facilities. A Special Donation for the Children!